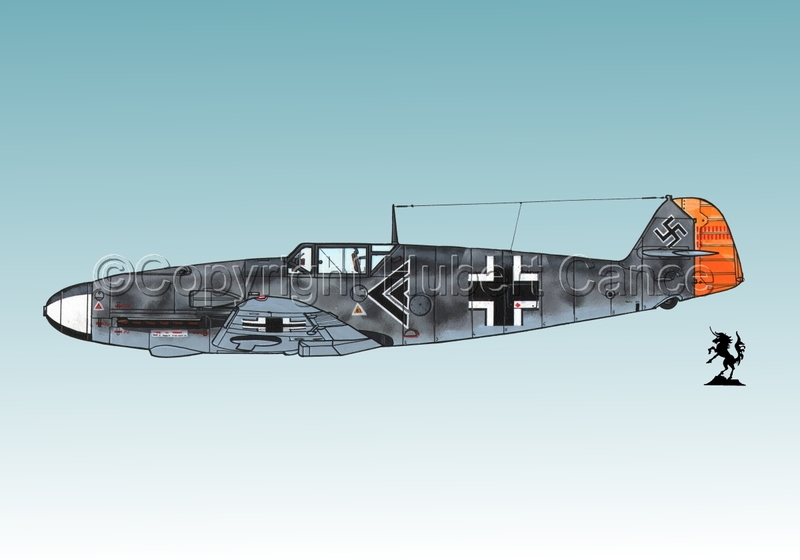 Messerschmitt Bf 109F-2 "Friedrich", W.Nr.12764, piloted by Major Rolf Peter Pingel, Gruppenkommander of the I/JG.26, of the Luftwaffe, shot down at 10th. July 1941. 5" x 7.25"9" x 12.75"13" x 18.5"17" x 24.25"21" x 30"22.75" x 32.5"